If you want to control multiple devices simultaneously, either from the Insteon app or from another Insteon device like a Wall Keypad button, Mini Remote or Sensor, use an Insteon scene. 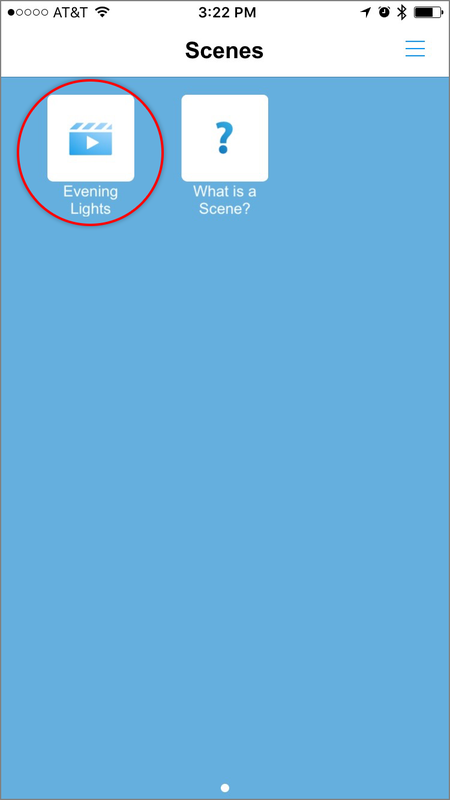 The steps in this article detail how to create a basic scene that can be activated from the Insteon app. Navigate to Settings by swiping from the right to open the drawer. 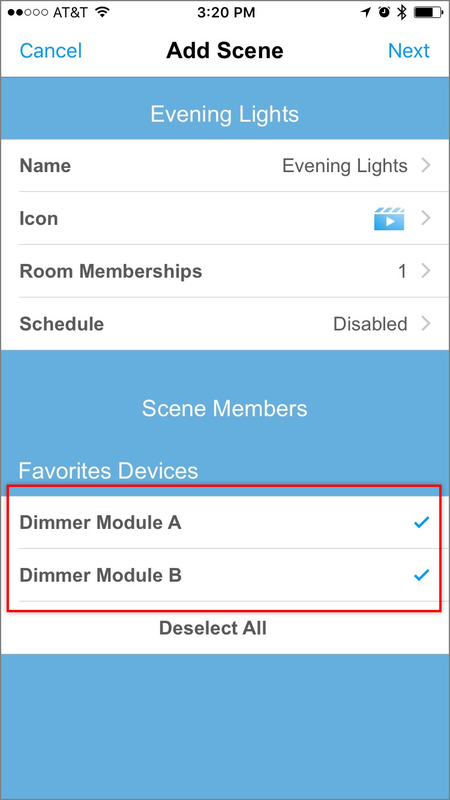 Give your scene a name and select the devices you want to include. In this example, we've chosen two Dimmer Modules. Configure the role for each device in the scene by tapping the Responder/Controller/Both buttons. Controller devices will activate a scene, responder devices will be activated in the scene and devices configured as both will both activate the scene and respond to its activation. For this basic scene, both Dimmer Modules will be set to responder and, as a result, the only way to activate this scene will be from the Insteon app. You can also configure what a device will do when the scene is activated by tapping the green button in the right of each row. Dimmable devices support both On Level and Ramp Rate. On Level configures how bright the light will be when the scene is activated. Ramp Rate configures how quickly the light will turn on, off or dim. For this basic scene, both Dimmer Modules have been configured to turn on instantly to 50% brightness. When ready, tap Done. The Insteon app will create your scene. Navigate to Scenes by swiping from the right to open the drawer. Select Scenes. To control a scene, tap the desired scene icon. Navigate to Settings by tapping Settings and then Edit Settings. Navigate to Scenes by tapping the Scenes icon at the bottom of the screen.